The Minnesota Vikings promote responsible drinking and positive fan behavior at U.S. Bank Stadium. The Vikings alcohol management plan ensures that fans have a safe and fun experience. 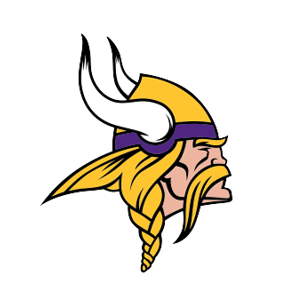 The Minnesota Vikings Football Club hereby serves notice that unruly behavior will not be tolerated at Vikings’ home games and may, in some circumstances, be deemed grounds for dismissal from U.S. Bank Stadium. Such behavior includes, but is not limited to, the obvious abuse of intoxicants, actions that harm or endanger others in the stadium, and any other conduct that is beyond the bounds of reasonableness for spectators attending a professional sporting event. Persons who disregard this policy will be considered by the Minnesota Vikings as having forfeited their game ticket privileges. If a problem arises, contact the nearest stadium usher or police officer located in or near your section. Fans can alert stadium management of Code of Conduct violations by visiting Fan Services Locations at Sections 111 and 216 or by sending an anonymous text message. There are 8 digital locations of the Miller Lite “You Hold the Key Never Drive Drunk” designated-driver program at U.S. Bank Stadium. Fans who pledge to be designated drivers receive a complimentary soft drink and a chance to be selected as the Designated Driver for the Season. The Designated Driver for the Season receives a special prize from the Vikings as well as a chance to win a trip to the Super Bowl or Pro Bowl as part of the Responsibility Has Its Rewards sweepstakes for designated drivers with the NFL and TEAM Coalition.